Maximise your performance at the UK Internal Medicine (previously Core Medical) interview by preparing effectively and efficiently. Preparing for your UK Internal Medicine (previously Core Medical) Interview is daunting. All the hard work you put into improving your portfolio might be wasted if you don’t prepare properly for the rest of the interview. The UK Internal Medicine (previously Core Medical) interview is knowledge intensive. If you don’t have the right content in your answers it doesn’t matter how slick your delivery is, you won’t get the marks. Similarly, your knowledge could be consultant level, but if you don’t deliver it well, all those hours in the library will be for nothing! 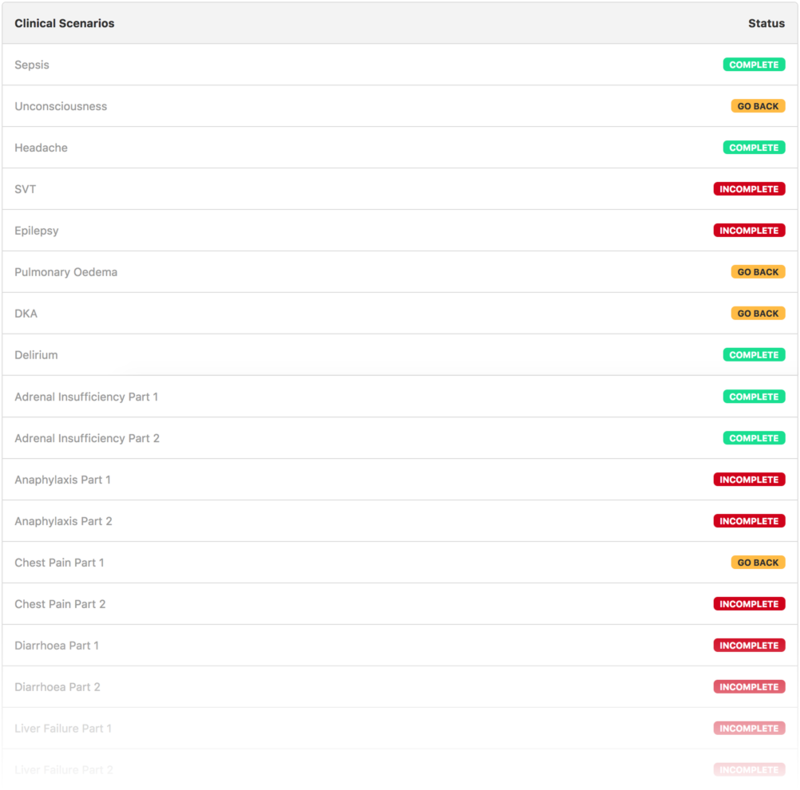 Our UK Internal Medicine (previously Core Medical) Interview Question Bank will provide you with both the content and the structure to ensure you get maximum points at interview. Our questions cover all aspects of the interview syllabus and each has a comprehensive model answer. Our goal is to make sure you are thoroughly prepared for whatever they ask you and we are continually adding new questions to give you a fresh angle on the key topics. All of our content is written by authors who have scored highly at interview and have secured some of the most competitive UK Internal Medicine (previously Core Medical) jobs in previous rounds. Anyone applying for UK Internal Medicine (previously Core Medical) Training who wants to give themselves the edge at interview. Whether you are applying straight from FY2, or you’ve been unsuccessful at interview in the past, our online course will give you all the information you need to rank highly. We have broken the online course down into the 2 components of the interview you will do, in addition to the portfolio station. 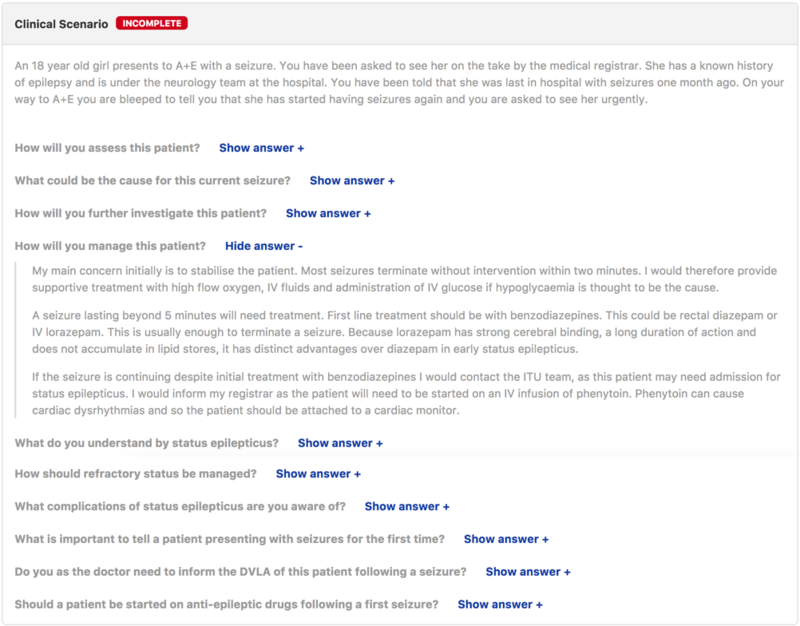 Focused questions on the clinical topics which come up every year, so you can revise effectively. We provide detailed questions with model answers to make sure you get all the points in this station. Many candidates underestimate this station and instead focus on the clinical part of the interview. However, they are worth the same amount of points and it’s easy to drop marks here. We have written numerous ethical scenarios and model answers to give you the knowledge and structure to score highly on this station. This involved scouring the internet and talking to UK Internal Medicine (previously Core Medical) trainees who had recently been successful. For those of you that have tried to do something similar, you will know this can be painstaking! And the advice can be variable at best! We’ve filtered through all the good and bad resources so you don’t have to. And we’ve turned them all into one innovative and responsive online UK Internal Medicine (previously Core Medical) interview course. We are passionate about medical education and finding new ways of learning. You can spend so much time preparing for interview that it can take away from your clinical placements. The intense effort required to get the UK Internal Medicine (previously Core Medical) job you want can be overwhelming. We are doing our bit to try and make things easier. If you want to give yourself the best chance of getting a UK Internal Medicine (previously Core Medical) Training job, then the Medibuddy online interview course if the first place to start.